A power rack is exercise equipment that can be used for a variety of different exercises. The best thing about a power rack is that it’s extremely versatile and you can exercise any muscle group with it. Power racks come with adjustable pins so that you can set your other equipment to different heights to train to perform different activities. Another thing power racks are great are the safety features installed on them. 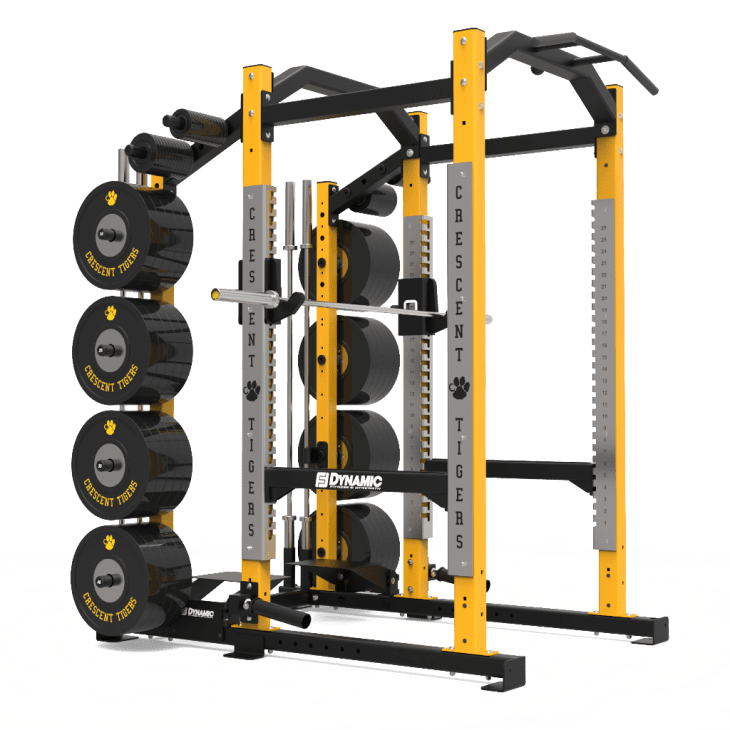 Namely, the catches installed on your power rack will prevent the barbell to go below a certain height meaning that if you lose control, the catches will catch the barbell and it will not land on you. This means that you can use a power rack and exercise anything you want all on your own, and you don’t have to use a spotter. So without further ado, let’s find out the best power rack exercises for the best possible workout. 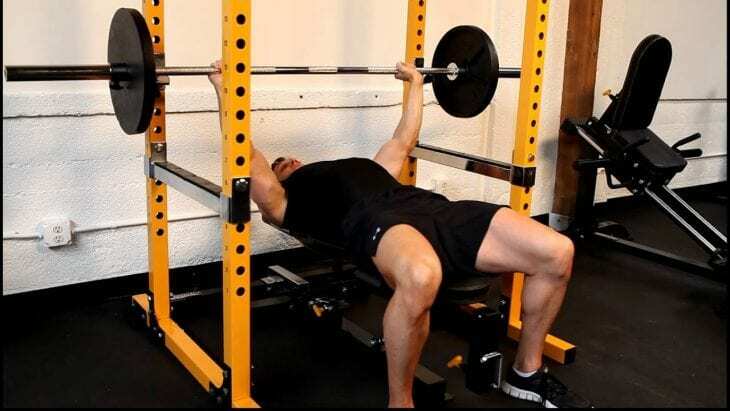 If you are the type of guy who likes to bench press heavy weights, then you are familiar with the problem of having to use a spotter. While that might not necessarily be a problem, with a power rack you can adjust a safety bar that will protect you if you lose control over the barbell. A power rack is essentially a squat rack and it’ best for doing squats. 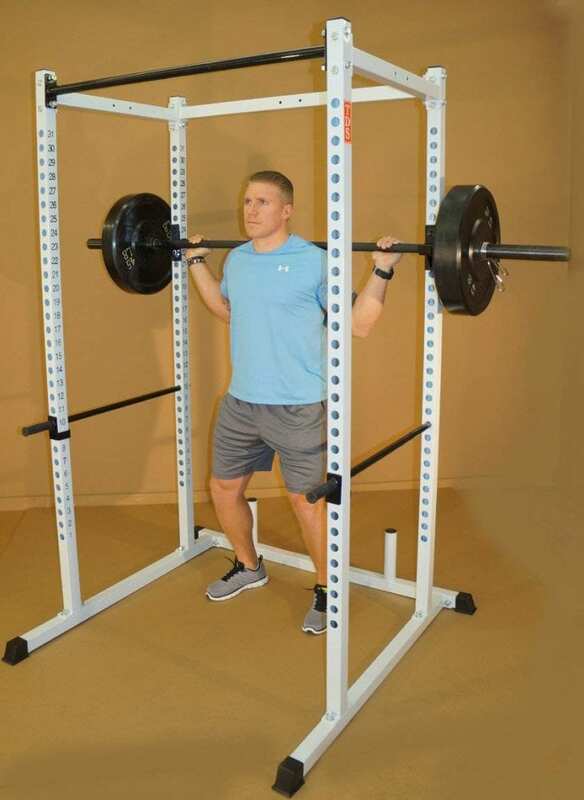 A power rack eliminates the problem of being stuck at the bottom because you don’t have the strengths, or power, to stand back up while squatting a barbell. 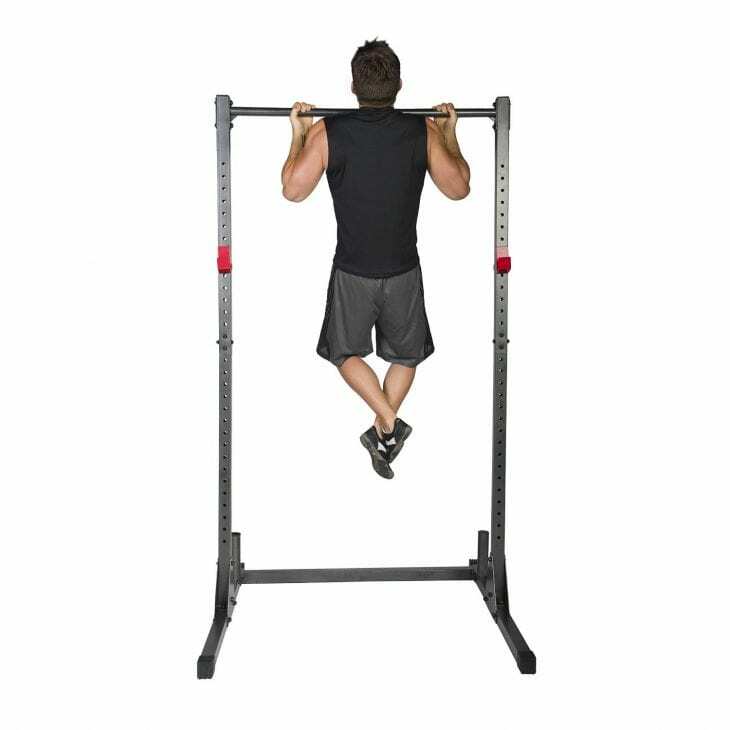 With a power rack you eliminate the need for a spotter because, again, you can adjust a safety bar. Also, a power rack enables you to do any squatting variation and promotes safety. 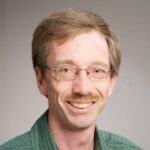 Judging from the best power rack reviews, a power rack should be stable enough to balance your entire weight as you do dips. Dips are excellent for your triceps, should, and chest and the best power racks will come with their own dip station, although this is not always the case. These two exercises do not require any additional equipment and are fairly straightforward. When you first started working out, pulls ups and chin ups we’re the stuff of nightmares. That’s because they are powerful body exercises, and a power rack replicates the need to install a single bar just for performing those exercises at home. An excellent exercise for boosting the strength of your shoulders, a power rack is ideal equipment for performing a military press. 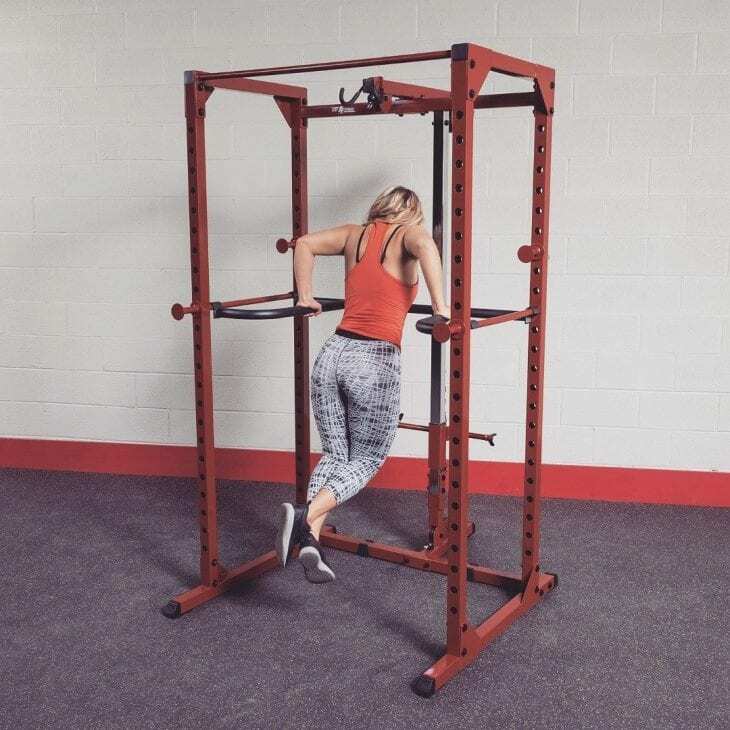 This is because the exercise is quite hard when picking and putting down the barbell, and since safety should be your number one concern, a power rack offers just that. Simply place the safety bar at whatever height you like and you can military press with confidence knowing that you will be safe if you lose control or lose strength. By now you’ve probably acknowledged that power racks are brilliant for any kind of exercise that involves a barbell. Well, another such exercise that a power rack is great for is a barbell shrug. This exercise aims to broaden your shoulders and trapezius muscle as well. Using a power rack with this exercise eliminates the uncomfortable situation of picking up and putting down the barbell.